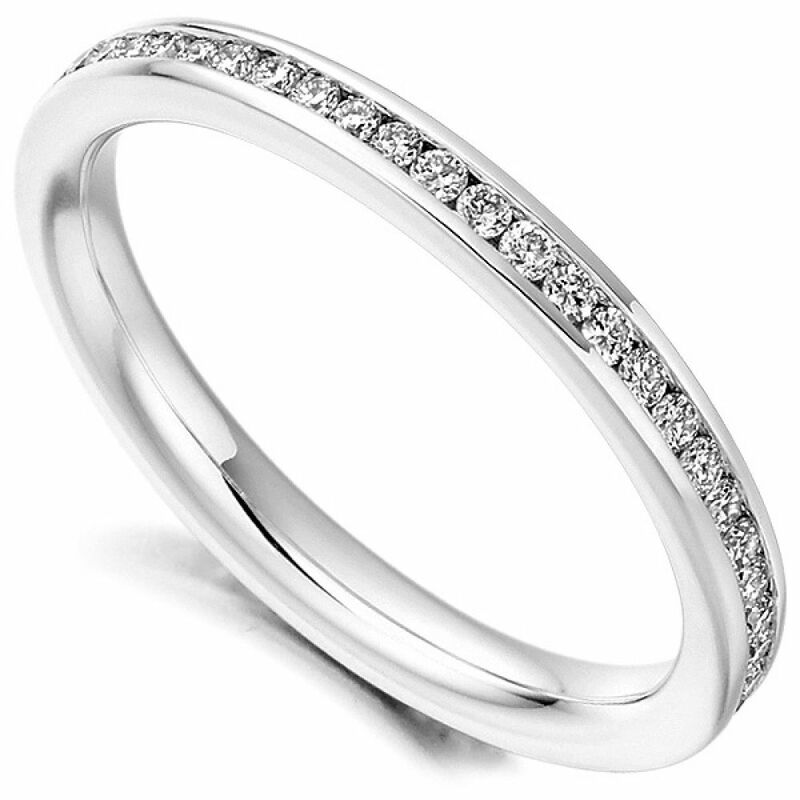 Round diamond full eternity ring with channel setting, holding a total of 0.41cts of round brilliant cut diamonds. A dazzling show of Diamonds awaits within this spectacular channel set full Diamond Eternity Ring. Expertly set with a total of 0.41 carats of Round Brilliant cut Diamonds, graded F Colour and VS1 Clarity. 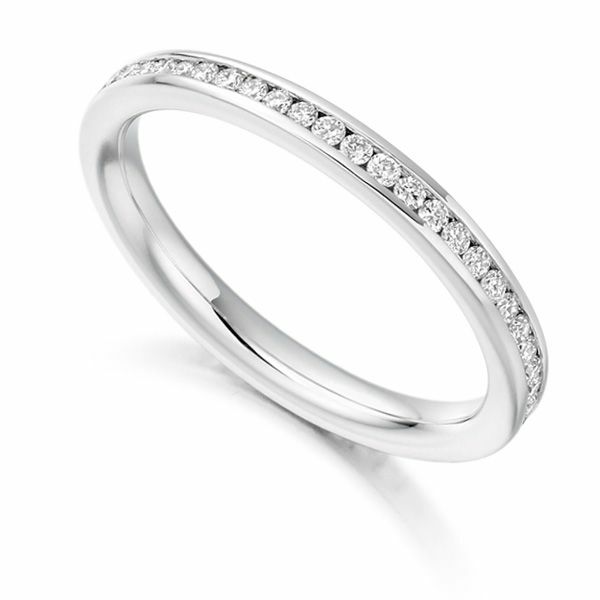 This ring benefits from a comfortable court profile and is 2.60mm in width. The simplistic radiance of this ring can be enhanced by a personal choice of finishes - 18 Carat White, Rose or Yellow Gold and 950 Palladium or 950 Platinum. The meticulously polished ring will arrive beautifully packaged ready for the perfect moment. As this ring is crafted to order please allow up to 4 weeks for delivery.